In this post I am going to write a about a basic function Module. If you are functional or technical you need to know what a function module is and its basic. Let us write a small function module with two input and the output is addition on these two number. 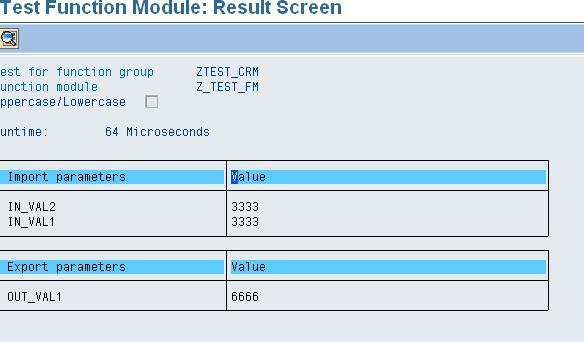 T-code to create/change/display a function module SE37. Look at the following screen.